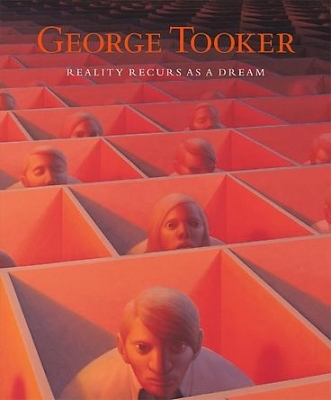 George Tooker: Reality Returns as a Dream celebrates the life and art of a painter whose powerful imagery and technical mastery made him one of the most acclaimed artists of his generation. For over sixty years, Tooker (1920-2011) has been highly regarded for his luminous and often enigmatic paintings. His themes range from alienation and the dehumanizing aspects of contemporary society to personal meditations on the human condition. Over the course of his long career, he created fewer than 170 paintings, most of which are seldom on public view. As such, this exhibition offers a rare opportunity to see a select group of works from museums, private collections, and the artist’s estate that span his career, from the late 1940s to the 2000s.The exhibition will include Subway (1950), Tooker’s best-known work, on loan from the Whitney Museum of American Art. A deeply spiritual and contemplative man, Tooker created hauntingly beautiful modernist works through an intuitive artistic process combined with a precise and deliberate technique. “My pictures start on a fairly unconscious level,” he explained, and while his work is essentially representational, he felt that he was more involved in creating abstractions than in depicting reality. He was not interested in rendering events or documenting life, but was after the essence of experience. In doing so, he chose a timeless method to pursue his purpose. He preferred working in egg tempera, a traditional Renaissance medium that produces a rich, lustrous finish yet demands focused attention and exacting execution. His figures, too, often embody classical sensibilities even when they are placed in contemporary settings. By reducing action and anecdote to subtle gestures and juxtapositions that carry meaning and express essential truths, Tooker created modern allegories without traditional narrative content. The curator and ballet enthusiast, Lincoln Kirstein, once defined his work as Magic Realism, which has since been frequently used to describe his paintings. Tooker never cared much for that characterization, though, because he considered his work to be rooted in actual human experience, not fantasy or Surrealism. “I am after painting reality impressed on the mind so hard that it returns as a dream, but I am not after painting dreams as such, or fantasy,” he has said. In the early 1940s, Tooker studied with Reginald Marsh, Kenneth Hayes Miller, and Harry Sternberg at the Art Students League in New York. He met Paul Cadmus in 1944, and then Jared and Margaret French, artists who became lifelong friends. Cadmus and French, in particular, encouraged him to adopt egg tempera as his primary medium. Tooker first came to prominence for imaginative visions that expressed the uncertainty of the Cold War era. He also frequently addressed issues of race and oppression in his work, and was very involved with the Civil Rights Movement, in one instance marching with Dr. Martin Luther King, Jr. in Selma, Alabama. In 1960, Tooker relocated from Brooklyn to a house that he and his partner had built in Hartland, Vermont, not far from the French’s summer home. The relative solitude of rural Vermont suited Tooker, allowing him to concentrate almost entirely on his art and spiritual life. He continued to paint penetrating critiques of contemporary society, such as Landscape with Figures (1965-66), a powerful work that explores the dehumanization and estrangement of nameless individuals in the modern world. Increasingly, though, he focused on more personal concerns, creating images like Embrace of Peace II (1988), which resonates with compassion and tolerance, expressing his lifelong belief in the enduring themes of human fellowship and universal brotherhood. Gallery Talk Thursday, June 9, 6:30PM: Curators Robert Cozzolino (Pennsylvania Academy of the Fine Arts) and Marshall Price (National Academy Museum), organizers of George Tooker: A Retrospective (2009), discuss Tooker’s art and life. Artist Kurt Kauper will moderate the discussion. Please RSVP by June 7th: 212-247-2111.